TOP IN 2008 - I Blog, Therefore I Am. I was really fascinated by Time Magazine's Top 10 of Everything for 2008 and I think that it would be cool to do one for myself as a year-ender. "Ten of everything" would be too much for me so I am just limiting my list to my ultimate "tops" and favorite things. In sickness and in health, for richer or poorer, until death do us part. Enough said. The year will not be as sweet if not for my dear Marj and Kathy. We worked very hard and delivered a lot of projects that helped build subscribers' loyalty. I'll miss you, girls! Thanks for all that has been and for all that will be! Our fondness and support for GDM was the one that introduced us to each other; but we discovered along the way that we have loads in common other than our PBB obsessions. Our BBQ Boy dinners were always riot events! A common tragic event early this year made us closer to each other. It was not a "good year" for us but we all believe that it's already time to move on (Binchy would want it that way). This is my most traveled year! I'm out each month except in January. The one that stood out is my 30th birthday celebration in Boracay. My friends Tin, Aileen, Charo and Jako went with me last 888 (August 8, 2008) and had the time of our lives. The highlight of the trip? The Paraw Sunset Sailing! My friends and I had a memorable roadtrip to Vigan last May. Aside from the cobblestones, the picturesque Spanish houses, and the yummy delicacies (I'm still craving for Martha's Bibingka until now), the trip was one for the books because we were were stranded in La Union for hours because of Typhoon Cosme. Our trip back home was 17 hours long. Whew! Our Team Celebration Program in Bohol last September was great because there were only four (4) of us on the trip and it was my first time in Bohol! I can't wait to go back for more! Bohol is truly a relaxation haven! A huge chunk of my work-related travel this year was because of one of our loyalty programs. I was able to meet various subscribers all over the nation through this activity. They were all fun and enriching events and it gave me also the opportunity to visit Cabanatuan, Nueva Ecija and Balanga, Bataan for the first time. I also visited Cebu (twice), Davao (thrice), Baguio and Cagayan de Oro this year. One of my non-work achievements of the year is winning the Pond's 7-day Beauty Blog. The "essay" (as my dad puts it) won me a new iPhone 3G and gift certificates. My good friend's unexpected death usually trumps the happy events of the year. We are still grieving but we know in our hearts that he's now in a happier place. Ate finally tied the knot last November! The event was a joyous one and it gave me the opportunity to be reunited with my Real relatives whom some I haven't seen in years. Santa came this year and got me this! Eyeloveit! Definitely the gift of the year (or even the decade). Nokia did everything right with this phone. It's perfect (or perfect for me at least!). The slim design allows you to text using one hand, it has WiFi, cool interface, huge LCD screen and its HSDPA! Definitely one of the best Nokias in the market today. Dubbed by most as The Gadget of the Year, it is not on top of my list because it's not the best - for me anyway. It has its greatness, ganda points, Internet anywhere and everywhere, and it's the best iPod ever...but it's far from perfect (jailbroken or otherwise). But I still love it to bits because it's "my trophy". The plot with Denny coming back to life is beyond absurd and George may be resigning but I still love this show! Nothing can keep me away from it despite the cheesiness of Mer and Der. My only wish? End the dead guy story and let Izzie fall in love with Alex. One of my Twitter buddies thought I was on my early twenties because of my great love for these Upper East Siders. Season 2 made me fall in like with Blair Waldorf and Chuck Bass together with the teens and tweens of the world. I still love Serena and Lily but I just can't stand the Humphreys especially Dan, the over-analyzer. It might have ended a couple of years ago but I am still on Season 3 of this great political drama. I am so fascinated with life at the White House and my week is not complete without hearing the "CJ! CJ! CJ!" of the reporters at the make-believe press room. Who doesn't want to be part of the Walker family and their famous dinners? I've decided this season that Kevin is my favorite Walker (aside from Nora of course). Who's your favorite? Seeing Carrie, Samantha, Miranda and Charlotte once again is beyond words! Watching it at Powerplant with great friends after Pepper Lunch was also great. Seeing Bela and The Cullens come to life is more than enough to land this movie on the list despite its crapiness. Sorry, Twitter movie fans. It was the much-hyped launch of Breaking Dawn in August which prompted me to read the series. It somehow filled the void that Harry Potter left me. Stephanie's writing was so bad (grammar and punctuation errors, over-plot, under-plot) but her great storytelling skills compensated for it. My favorites are Breaking Dawn, Eclipse and Alice Cullen. Time Magazine agrees with me that this is one of the best reads of 2008. It's a story of a librarian turned First Lady of the United States of America (sounds familiar?). Another chick-lit of Sophie Kinsella which was patterned after the humor and sweetness of tUndomestic Goddess and Can You Keep A Secret?. I fell in love with their Grilled Rodeo Chops and Iced Tea! I had it four times this year: Bigby's Davao, Bigby's LimKetKai, Bigby's SM Cebu and Bigby's Ayala Center Terraces. They will open a branch in Manila soon! Yey! This was my "supposed" 30th birthday dinner. The Cyma feast we had in Boracay was one of the best dinners that my friends and I had of late. Greek food is truly love! Best Moussaka I've ever had! I came back this year to this beloved restaurant that hold so many wonderful memories of yesteryears. Their steak is still tender and I still love it! Yum! I tried Plurk for a couple of months but I came back to Twitter. If I can't blog then I usually express myself via Twitter's 140 characters. According to TweetStat, my average tweet per day is 7.3 and I usually send them 8:00 pm onwards. My most replied twitter friends are taetin (Tin), rivengodwind (Rodge) and lilacstardust (Aileen), siaz (Mitzi) and charuzee (Charo). No surprises here since they are also my real-life best buds! Twitter is our cheesmux extension. I joined Facebook in mid-2007 but I only realized its full potential early this year. Everyone who's anyone is on Facebook; and it's the best Social Networking Site ever! This has always been my favorite repository site for photos, videos, blog entries and music. Add me up! A customizable one-stop shop for everything Google (and some more). It's always a joy to see my e-mail, google search tabs, Remember The Milk tasks, Google Reader feeds and various news all in one place. Thanks to Marj for the tip! Thanks to 2008 for being such a wonderful year! Credits to Bordoy Viterbo, Charo, Aileen and Marj for the photos. top travel vigan pic... love it! 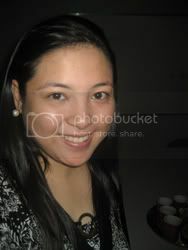 top event pond's beauty blog astig! new iPhone 3G! woohoo! top tv shows grey's gossip girl and brothers and sisters! sooo love it! thanks for being part of your 2008! cheers to 2009! happy new year! happy new dear!! hehe. I read what I wrote and its kinda funny because it has zero drama on it (except the Binchy part). Happy New DEAR! Thanks for being here always! i also wanted to make my own top list..waaahhh! im just saving my words and think of what i did last 2008. hhehe. oh ..an you did let me realize my girlfriends are so important. hahha!